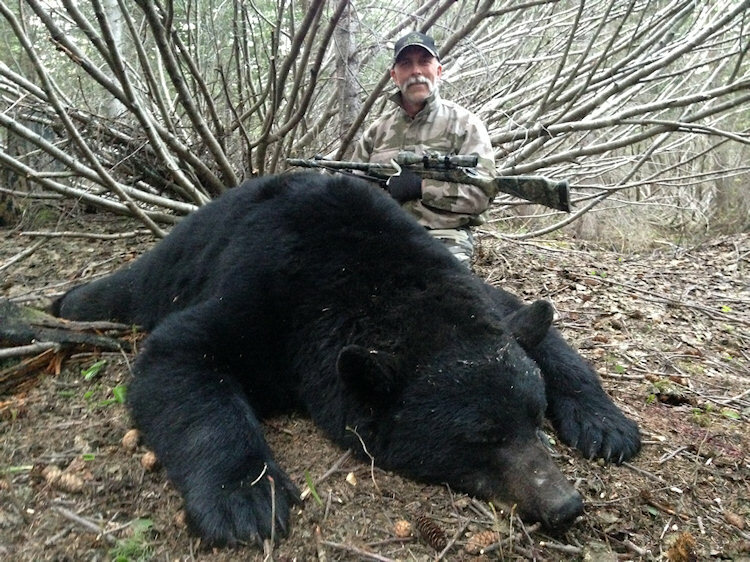 These BC mountain bear hunts are best for hunters looking for a step up in terms of lodging and exceptional fishing opportunities when not hunting, but want similar quality and density of black bears as our BC Coastal Mountain Hunts. This is a spot and stalk hunt. If you can tolerate sitting for 8 hours a day over a pile of jelly donuts, go to Alberta, Saskatchewan, or a Western State that allows baiting. If you want to spot and stalk the world’s largest black bears in pristine country, give us a call. This is an awesome hunt for groups that include hunters of varying experience and physical capabilities. Historically, success has been 100% with a focus on large mature bears. Most hunters will have the opportunity to harvest a second bear if they choose to. Spring bear hunters can expect to see a minimum of 3-5 bears per day. 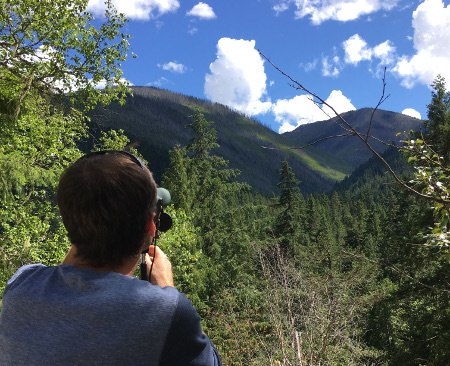 In 2017, one of our clients saw 81 bears during a 5 day hunt. Hunters will likely see an assortment of other wildlife including Lynz, Grizzly Bears, Wolves, and Moose. These hunts run May through June. 5 day hunts (6 nights). Hunting is done by 4×4 on logging roads and glassing harvested timber blocks. The main base camp consists of well equipped guest cabins, showers, power and home cooked meals. The hunting camps vary from wall tent setups to remote cabins. 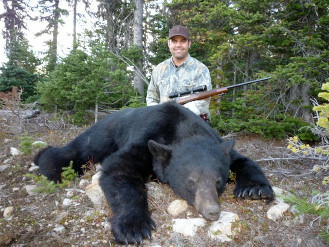 If you are interested in a US-based horseback bear hunt, consider our Colorado Fall Bear hunts. 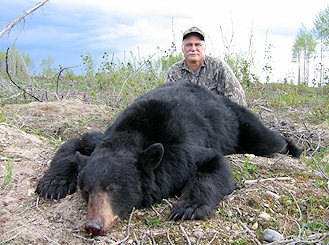 Another BC option is our Coastal Mountain Bear Hunts. These BC mountain bear hunts are great for bowhunters. BC bears are one of the few fair-chase mountain hunts where an archer can expect at least one stalk per day, sometime 2-3. This is one of the most economical ways for a fair-chase archer to build his mountain spot and stalk skills. 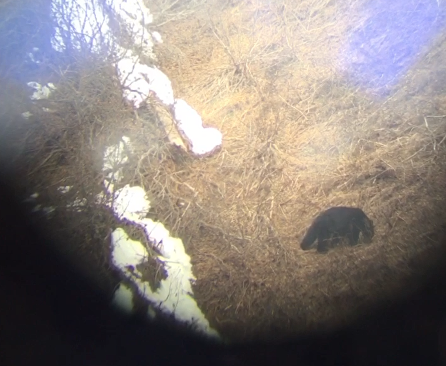 Like archers, rifle hunters will likely have multiple opportunities to harvest a bear during their hunt. We appreciate having both archers and rifle hunters. You are also welcome to try your hand at both during your hunt. Additional costs are a customary tip (5-15%, based on service) to your guide and taxidermy/shipping you choose to have done. Most hunters fly into Prince George. The base camp is 3 hours from the airport and our outfitting partner in BC provides a shuttle service for $200 per hunter that covers to/from the airport. Visit our Canadian Hunt Resources page. We keep all our lists and forms up-to-date there.